A new major upgrade version of Lynis 2.5.5 is released just now, after months of development, which comes with some new features and tests, and many small improvements. 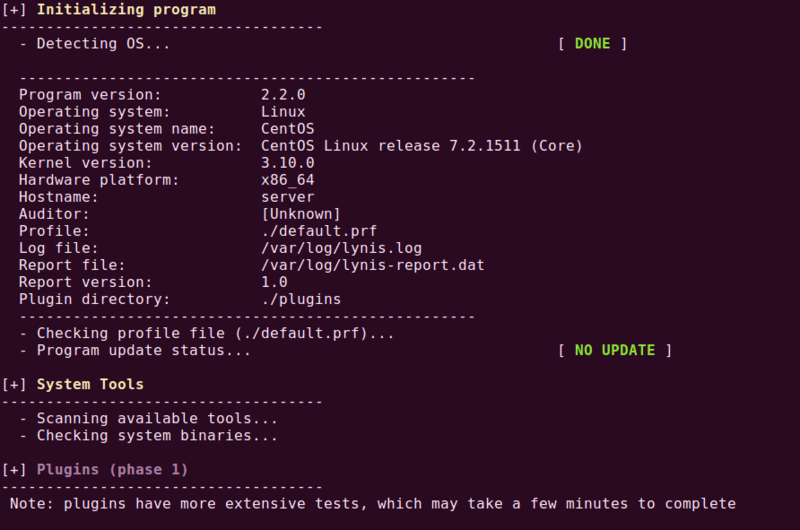 I encourage all Linux users to test and upgrade to this most recent version of Lynis. In this article we are going to show you how to install Lynis 2.5.5 (Linux Auditing Tool) in Linux systems using source tarball files. That’s it, we hope this article will be much helpful you all to figure out security issues in running systems. For more information visit the official Lynis page at https://cisofy.com/download/lynis/. This article should be updated. The newest version of this is now 2.5.5. 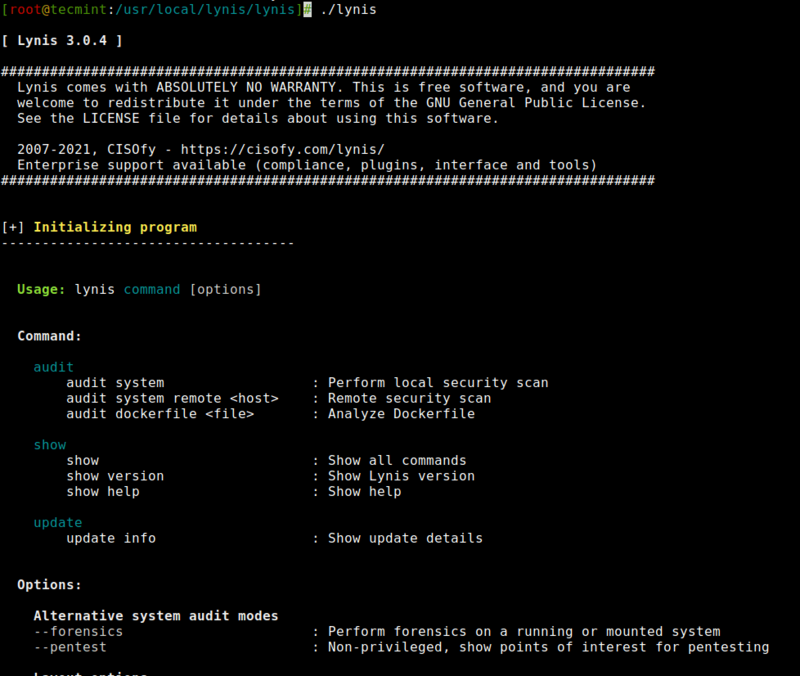 If you’re an ARCH user all you need to do is run a ↵ “sudo pacman -S lynis” and you’ll get this: “community/lynis 2.5.5-1“. Thanks for informing us about new Lynis update, we’ve updated the installation instructions in the article to latest Lynis version.. So what security criteria standards does this check against? is there a way to scan a remote server or workstation with Lynis? or does the client have to be installed on the local machine in order to run the scan? Unfortunately, you can’t scan a remote Linux server or workstation with Lynis and there isn’t any client that do the job as you looking for, all you need to do is install the Lynis tool on each machine and set a auto cron to do the scan..
you are so great sir..you have guided so many newbee of linux like me..keep it up.. Thanks for easy to follow instructions. Also thanks with help with RKhunter but have since removed it and installed Lynis 2.1.1 as from what I gather RKhunter has been replaced by Lynis. I have 1 question. How do I get the daily scanned results to be emailed to me. Can you please let me know what I need to change. 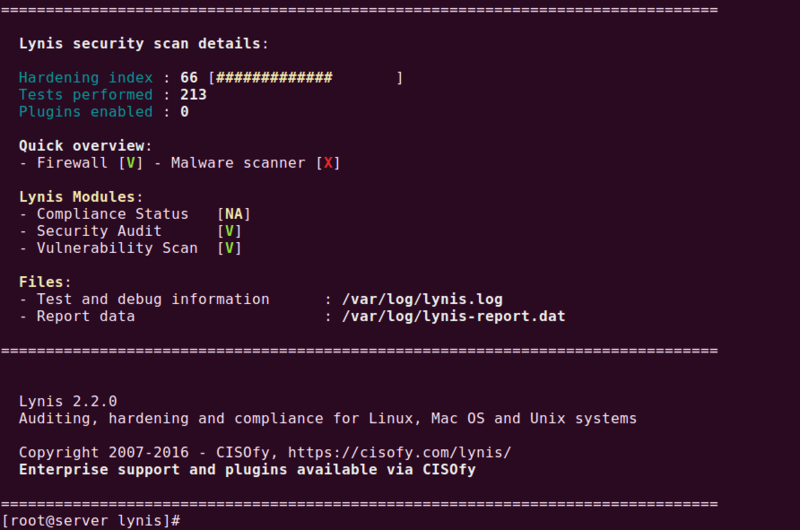 does lynis is only used to scan The server or also i can scan one user(One Website)? I tried to download lynis but it failed to download after hitting save and clicking twice on option to open. 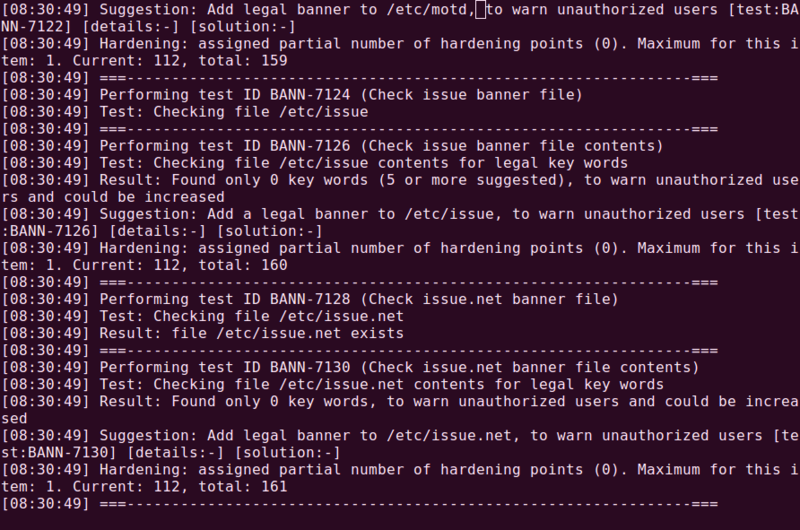 How you downloading using wget command or anything else. which version of OS you using?